If you haven’t yet completely made the switch to all-natural homemade personal products (or at least reputable organic store-bought), consider this: your hair, skin, nails, and body are probably all stressed out and need a break. 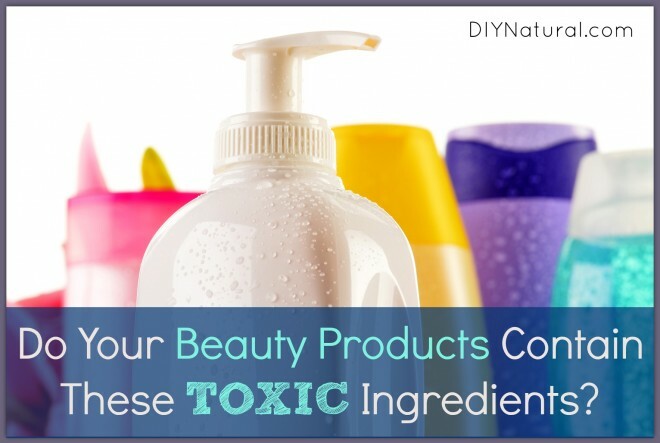 Body care and cosmetics are not regulated like foods, so many of them contain toxic chemicals. Some of these chemicals are added intentionally, and some are contaminants or impurities that are released by other ingredients or created when certain ingredients are combined. Parabens are additives that possess antimicrobial activity, frequently used as a preservative in cosmetics (and some foods). You can find parabens in things like fragrances (although they won’t be listed on labels as such), deodorants, makeup, lotions, lip sticks, shampoos, conditioners, body wash, and most other beauty products that contain water. Parabens are a family of chemicals, so they’ll show up under many names on labels. ON LABELS, LOOK FOR: methylparaben, ethylparaben, propylparaben, butylparaben, and other ingredients ending in -paraben. Phthalates are chemicals that are used as solvents, dyes, plasticizers, and as a solubulizer in many cosmetics and perfumes. You can find phthalates in products like perfume/cologne, shampoos, hand lotion, eye liner, eye shadow, mascara, lip stick, bronzer, nail polish, hair gels, deodorants, hairspray, and aftershave lotion. There are several forms of phthalates that may be lurking in your beauty products. ON LABELS, LOOK FOR: diethly phthalates (DEP), dimethyl phthalate (DMP), benzylbutyl phthalate (BzBP), and dibutyl phthalate (DBP). Derived from crude oil, petroleum-based ingredients form a barrier over the skin, not allowing it to breath. These products are used by companies because they’re extremely cheap. Petroleum byproducts can be found in lip products, petroleum jelly, baby oil, hair products, skin moisturizers, sunblocks, deodorant, soaps, and more. ON LABELS, LOOK FOR: petrolatum, mineral oil, paraffin, paraffin oil, paraffin wax, propylene glycol, PVP/VA copolymere, and even isopropyl alcohol! A highly toxic impurity, formaldehyde is released by a number of preservatives used in cosmetics. The use of formaldehyde in personal products has been banned in many countries, but not in the US. Formaldehyde and formaldehyde-releasing preservatives can be found in some nail polishes, shampoos, liquid hand soaps, body washes, nail glues, toothpastes, hair gels, hair smoothing products, lotions, and more. ON LABELS, LOOK FOR: DMDM hydantoin, diazolidinyl urea, imidazolidinyl urea, quaternium-15, 2-bromo-2-nitropropane-1,3-diol, and sodium hydroxylmethylglycinate. According to the Environmental Working Group, 1,4-dioxane is “an unwanted byproduct of an ingredient processing method called ethoxylation used to reduce the risk of skin irritation for petroleum-based ingredients. Though 1,4-dioxane can easily be removed from products before they are sold, its widespread presence in products indicates that many manufacturers fail to take this simple step.” So I guess you could say it’s an unwanted by-product of an already harmful ingredient (petroleum byproducts) that is put into personal care products. Several organizations, including the Environmental Protection agency (EPA) and the US National Toxicology Program (NTP), have classified 1,4-dioxane as a probable human carcinogen. It has been linked to organ toxicity, neurotoxicity, and birth defects. This contaminant can be found in most products that produce lather, such as shampoos, liquid soaps, body washes, etc. It can also be found in hair relaxers and other products. ON LABELS, LOOK FOR: PEG (polyethylene glycol), and any other ingredients that contain “eth,” like “laureth,” “ceteareth,” “oleth,” etc. Synthetic fragrances are added to products to make them smell good. These fragrances can contain a laundry list of chemicals that don’t have to be disclosed on labels, since most fragrances are a unique blend formulated by companies. (A fragrance is considered a trade secret that is actually legally protected!) Instead, you’ll only see “fragrance” listed in the ingredients. Unfortunately, synthetic fragrances can contain things like phthalates, petroleum byproducts, and parabens. (See info above if you can’t remember why these are bad.) Other harmful ingredients in synthetic fragrances include Toluene (aka methyl benzene), acetaldehyde, styrene oxide, acetonitrile, and and Musk tetralin (AETT), which have all been linked to dangerous health issues. Since companies don’t have to list all the chemicals that make up their synthetic chemicals, you’re basically getting a “mystery blend” of toxins. Most synthetic fragrances are also likely to cause or exacerbate allergies, headaches, or asthma. You can find synthetic fragrances in colognes, perfumes, deodorants, and almost any other personal care product on the market. ON LABELS, LOOK FOR: fragrance or perfume. 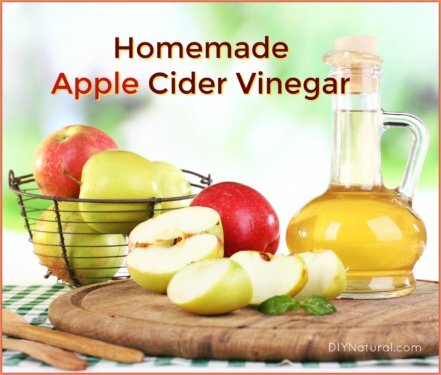 To completely avoid having toxic ingredients in your cosmetics and personal care products, we recommend replacing products with homemade versions. This allows complete control over ingredients, with the ability to formulate a product that’s perfect for your skin or hair type. non-drying hand sanitizer, and more! If you just aren’t ready to dive into making all your own products, a little research will be your best line of defense against toxin-filled products. Choose companies that are devoted to producing the most pure, natural products. (Hint: These will not be the big brands found in stores.) You’ll likely spend more for these products, but you’ll probably save on medical bills in the long run if you’re avoiding carcinogens and other toxic ingredients. Look for plant-based ingredients, nourishing butters, and essential oils that will naturally leave your complexion, hair, and nails looking beautiful. If you want to do more research on products already in your cabinets, or other ingredients to avoid, you can visit the Environmental Working Group’s Skin Deep Cosmetics Database for more information. What ingredients have you banned from your beauty products? That is awesome Sunny, we say go for it! There is definitely a growing market for it and your business is destined to be a success. Blessings. Great list – very informative! One thing to add for Shampoos/Conditioners especially is any Silicone (products that end in “xane”, “cone”. The problem with silicones is that they suffocate the hair and the only way to remove them is with a Sulfate and sulfates strip all the natural oils. Thanks for catching that one Natalie! I did know that in the past, but had forgotten all about silicone. Terrific article! I teach classes on making your own herbal lotions and salves, and body care products, and a couple of these ingredients are not on my handout of chemicals to avoid. They’re going to get added on! Thanks. Thanks also for the list of informational resources. I have eliminated all of these chemicals from my body care products, my housecleaning products, and my laundry products, because mostly I make my own, or buy from sources that I know don’t include them. Betsy, as always your articles are ‘eye openers’, and I wanted to share what I use as a face wash. First, what problems I was having and regimen I was following. Cystic acne with menopause was wreaking havoc, and having always had naturally clear skin this was out of the blue for me. Dermatologist put me on benzole peroxide wash followed by antibiotic wipes, then followed by retin A….I know, I know, weapons of mass destruction, but I was desperate. I faithfully followed for 6 months, it never got better, and the dryness was painful and in the winter, my face cracked and bled when I smiled, which wasn’t often. Then enter my 29 year old daughter. “Mom, why don’t you just wash with honey?” Honey? No, not your grocery store honey, raw, unfiltered, organic honey, I found it at Trader Joe’s. I washed that night and my skin was calmed in only one wash. Over the course of a week, my cystic acne spots were no longer red, or hard, they were softened and drying up. My skin was no longer flaking and breaking. It’s been 2 months now, and my skin is so lovely I don’t even wear makeup. You can even leave it on as a mask. No more WMD for my face. My 12 year old uses it and her skin is glowing. There is a lot of science behind why this works, but mainly I’m just elated to have nice even toned, fresh looking skin again. Just thought I’d share, I’m 53 and in love with my skin again! Ooh, I’m excited to try that honey idea! 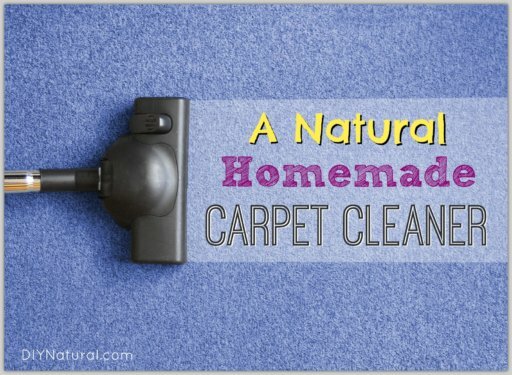 Great list, but I have one to add: sodium laurel sulfate (detergent). Ah, how could I have forgotten SLS?!? Thanks for bringing that up Marly! Wow Cassie! That’s amazing! But I absolutely believe there could be a turnaround in your skin when switching to a natural ingredient like honey. Thanks for sharing here! Thanks for this timely article. I have been going through my personal care products and tossing most of them because of these chemicals. Fragrance seems to be ubiquitous, even if products do not contain the other ingredients. Yes, fragrance is a hard one to get around. This is when you have to look for products that contain only pure essential oils for fragrance. 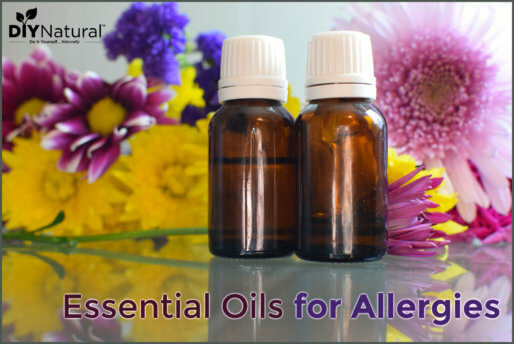 You won’t see essential oils listed as “fragrance,” but instead will be listed with their plant name. Best of luck with your clean out project Joan! What a great article. I am pleases that you not only gave us the “official name” but the names that it would be listed under in the ingredients list. I am working on becoming more natural with what I put on my face and body. I will be printing the list out and checking the products I have on hand. I can definitely say I will not be spending my money on poison and will be making all of my own product in the future. I enjoy all the article and DIY’s. Keep up the good work.